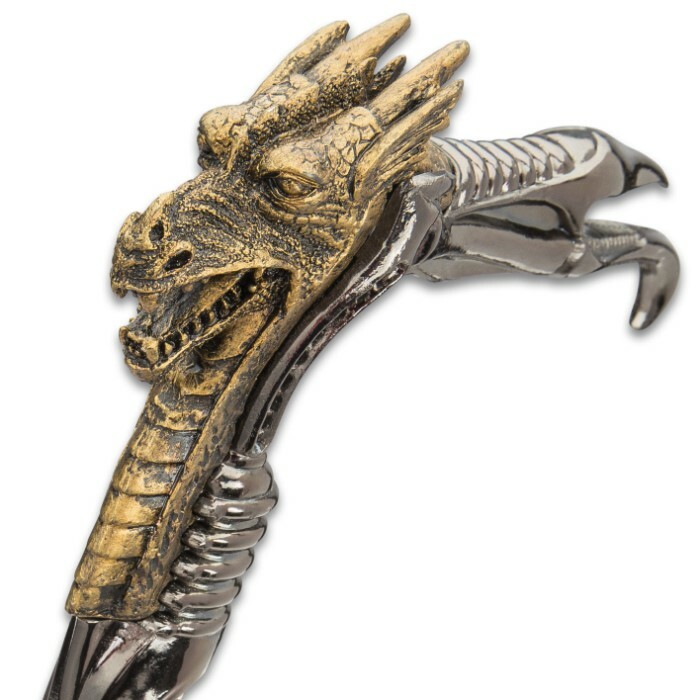 Our Dragon Head Fantasy Sword Cane is truly a thing of ferocious and stately beauty! 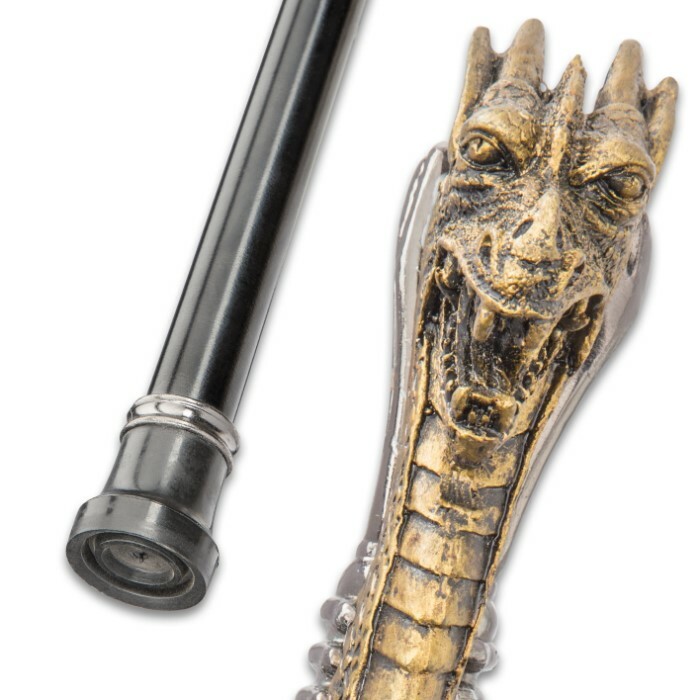 The uniqueness of this must-have wardrobe accessory is completely unmatched. 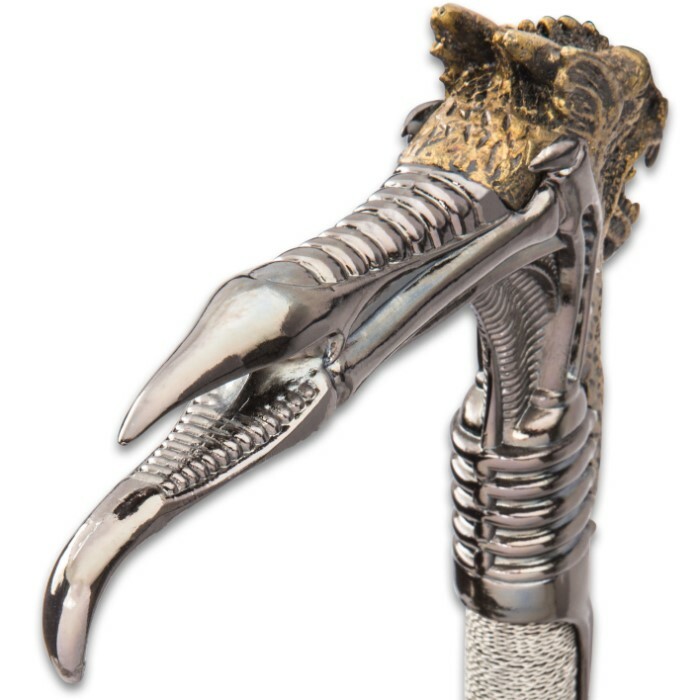 A sculpted resin dragon head in aged brass tones is integrated into an otherworldly handle design, which features an alien-looking grip of polished, pewter-colored metal and partial wire-wrapping. 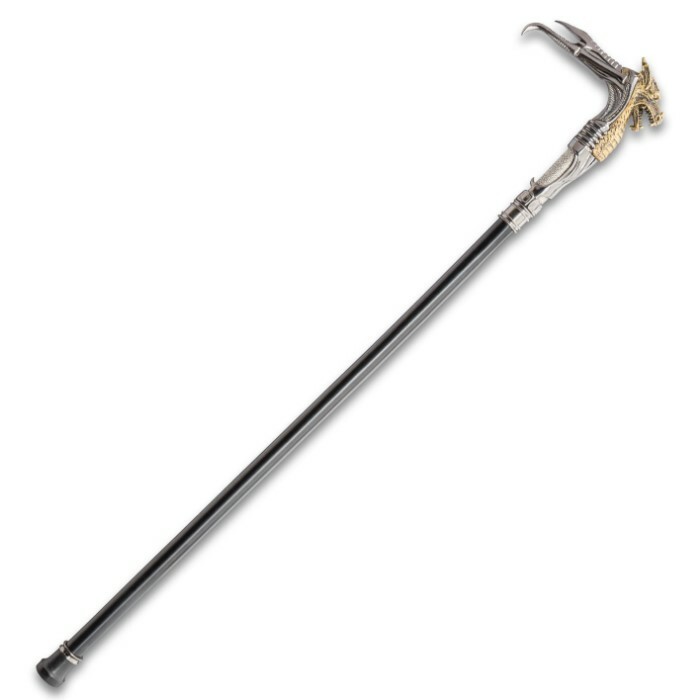 Just a twist of the handle and you can access the 15 1/2” 420 stainless steel blade hidden inside of the sturdy black aluminum shaft. The TPU toe assures you a slip-free step when walking. 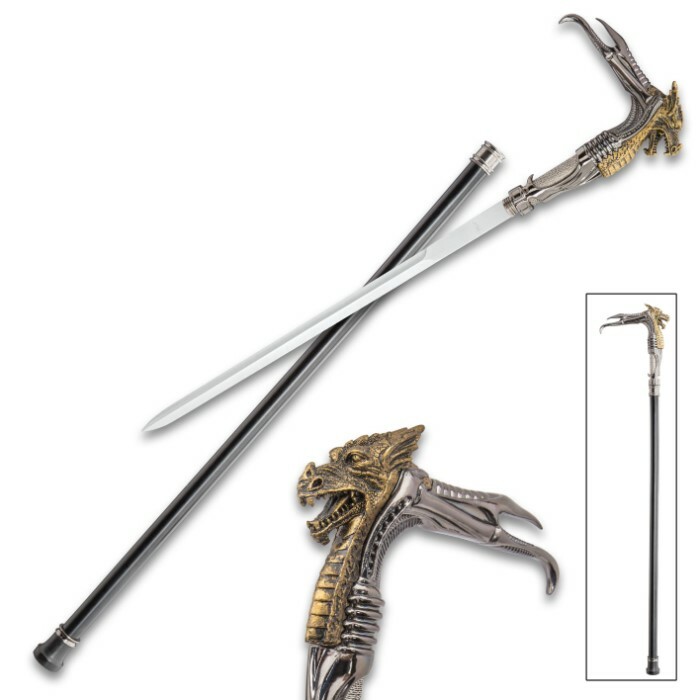 With its dark, Gothic appeal our Dragon Head Fantasy Sword Cane is sure to make a statement when you add it to your ensemble.